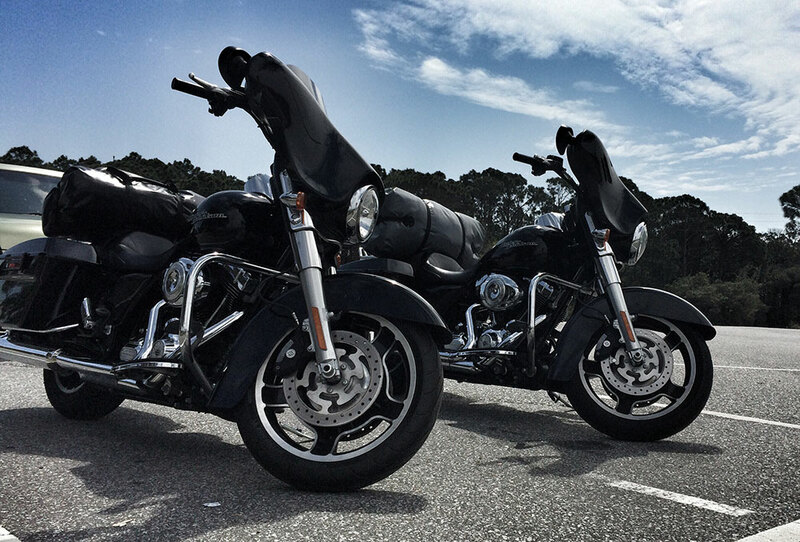 Which comes out on top as your favoured cruiser/tourer – the Indian or the Harley? 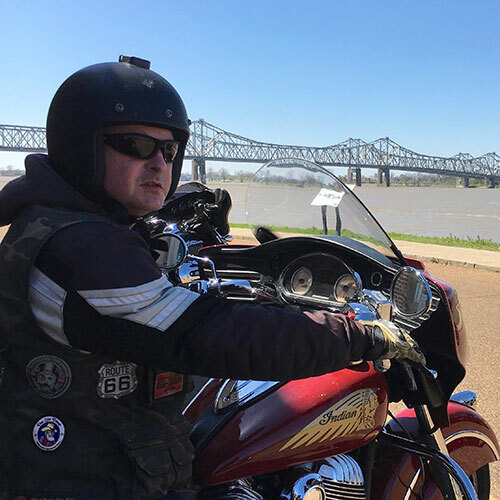 Guest Blogger and seasoned biker Matt James clocked up the miles on two popular bikes and shares his impressions in this Chieftain verses Street Glide review. 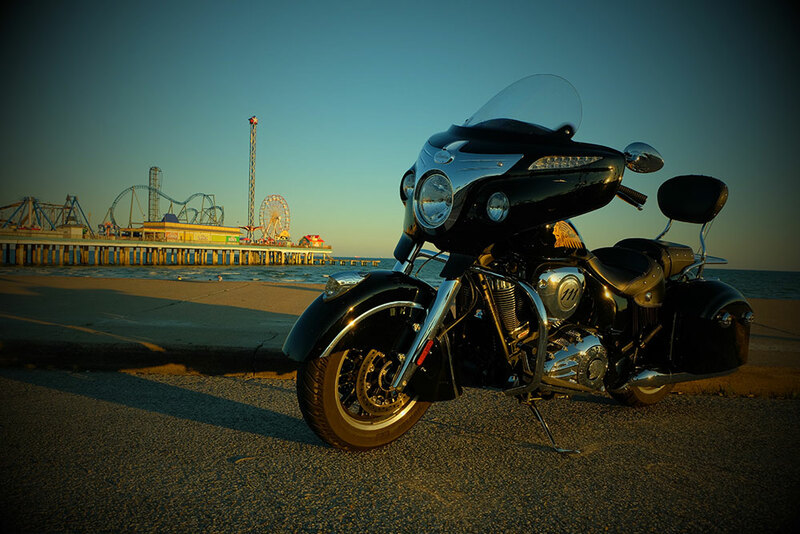 By far the most common motorcycles hired for a solo rider on the Annual Coast to Coast Runs are Road Kings / Soft tails and the Chief Vintage for those going for the “classic” look, and their more “modern” brethren the HD Street Glide and Chieftain. The latter bikes having the perceived advantages of hard lockable luggage and power outlets for sat navs etc. I have ridden coast to coast on both of the latter bikes and the following is my personal opinions of both. I have done 400+ mile days on both. I think I’m lucky in being the right height for both bikes as I’ve never had any real discomfort riding either. Taller riders who I’ve ridden with seem to struggle with the Glide on longer days. I would say the Chieftain’s seat has a slight edge over the Glide and the electronically adjustable screen is very useful depending on the riding conditions. Both riding positions are very similar, although the Chieftains slightly wider bars do make it a little better in traffic in my opinion. Very close call but I would say the Chieftain wins very slightly. 10 – 9. I travel as light as possible on these trips, carrying one 35 litre waterproof roll-top bag and so my prime concern is a rack to strap it to – which both models have. The hard luggage side bags on both are handy for hand luggage, laptops or anything of value you’d prefer to be locked away. In fairness, neither would be hard to force but would certainly deter the casual thief. That said I’ve probably done something like 20,000 miles in USA, and to date my bag has never been touched. 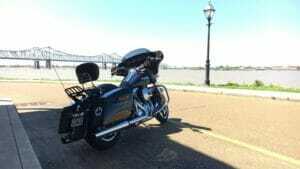 The Street Glide I would say has slightly larger bags so will accommodate more if that’s a requirement for you. I tend to put my helmet bag, tablet, chargers, and maps etc. in one, and waterproofs, hoodie or similar in the other, so either bike accommodates my gear. Personally I think there’s nothing in it and so; 9 – 9. Both bikes are fully equipped with all sorts of electrickery which will appeal to some more than others. Very few appeal to me but I do like the “comfort” factor of a 12v charging port on the bike, particularly when riding completely solo. Both have radios and entertainment systems that can either be plugged into directly or via a Bluetooth connection. I like scanning the random radio stations! Like the Chieftan, the latest Street Glide has a dash mounted “pocket” into which your phone could be stored while charging or being used, which was a nice touch. Both have cruise control. In my experience this works better on the Chieftain than the Glide but am reliably informed this has been improved on the latest models. I try and avoid roads where cruise control would be a benefit but there are some cases (New Mexico I’m talking to you) where it is a plus. Chieftain probably nudges it 10 – 9. While neither bike handles like a sports bike (if you try to ride them like one, expect to get into all sorts of trouble), they will both handle far better than many sceptics will have you believe. So if you have friend who tells you that they “don’t handle, don’t stop” etc, I’m betting they’ve never ridden one. The Chieftain has the larger engine of the two and in a straight drag race that extra bit of power is noticeable, but for the majority of riding you wouldn’t notice much difference. 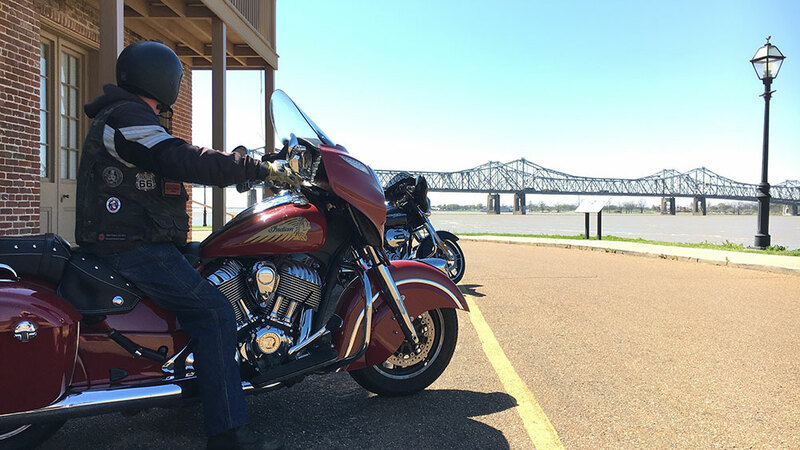 The Chieftain motor is a little smoother which Harley purists will equate to it being soulless – I’m easy either way. Through bends and twisties (yes, there are plenty of them in America – if you know where to find them) I feel the Chieftain feels more planted. That said, the Street Glide is equally adept at spirited riding – you’ll just feel a bit more give. Nothing to worry about after your first couple of bends. Both bikes are equipped with ABS and I have felt it cut in when riding both which probably says more about me than the bikes! Again I would say the Chieftain nudges it 10 – 9. The Chieftain’s extra performance does have a downside – it’s a tad thirstier than the Street Glide. This, combined with the smaller tank does mean it has a slightly reduced range on a tank full. This is hampered by the very pessimistic low fuel warning on the bike which (un)helpfully just flips to saying “Low fuel” and so you lose sight of the miles done so far. EagleRider recommends the Chieftain max’ing out at approximately 160 miles – we pushed one to just short of 200 but I wouldn’t want to do that too often. 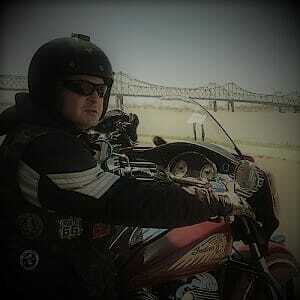 The Street Glide still had fuel to spare and you should see 200 from a tank comfortably. Whether you want to do that sort of distance without a comfort break and refuelling is up to you but the information worth knowing – especially if you get nervous about that kind of thing. The Street Glide wins this comfortably 10 – 8. The scores may seem to indicate the Chieftain is the clear winner overall but, having spent many hours riding on both bikes, it’s not as clear cut as that to me. 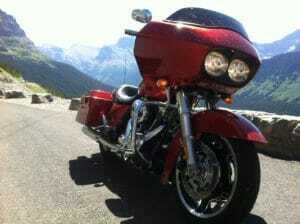 The Street Glide isn’t Harley’s best-selling model for no reason. While it may not excel in any single category, it performs well in all and truly is a “Swiss Army knife” of a cruiser bike. It just gets the job done! 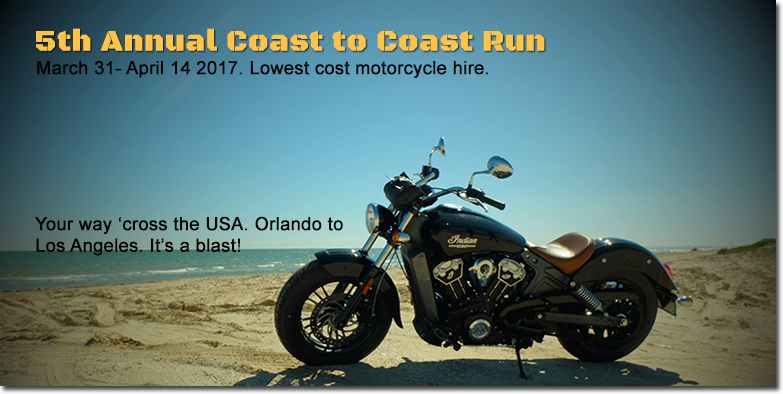 Either bike will serve you well and get you coast to coast in comfort. 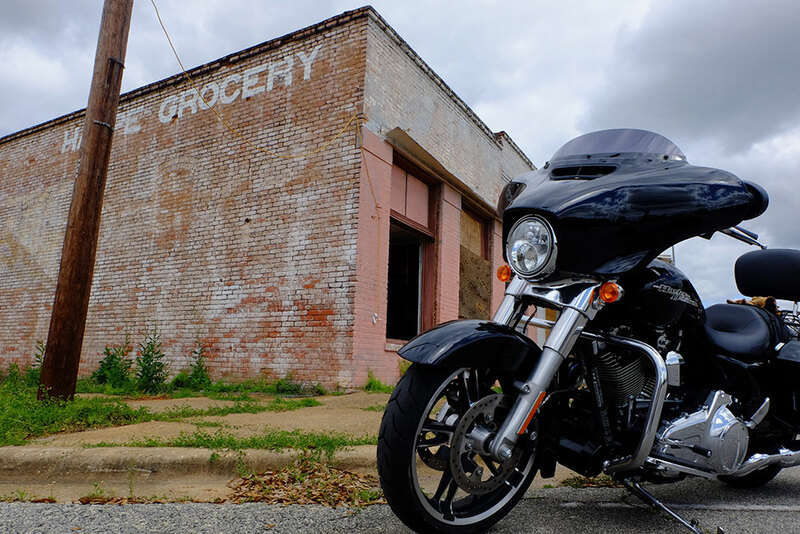 If you’ve ridden Harleys before, why not take the Indian for a new experience? If you’re Harley-phobic, take the Indian – because it’s not a Harley. If you don’t like the faux styling of the Indian or are (unnecessarily) worried by my comments on range, take the Harley. Neither bike is going to disappoint – enjoy the trip!